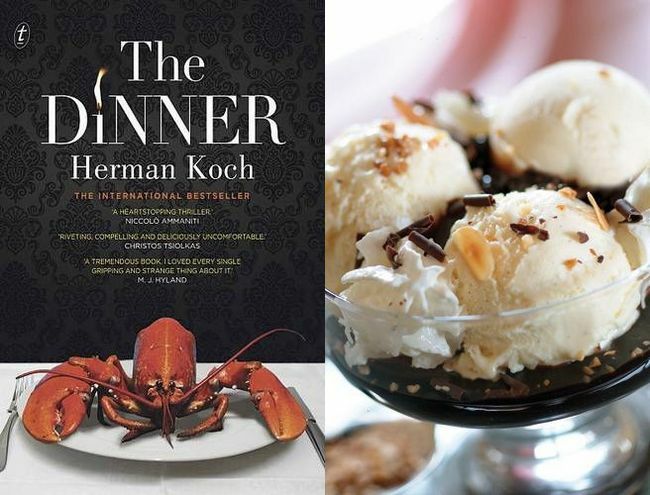 With strains of We Need to Talk About Kevin and The Slap*, The Dinner by Herman Koch is one of those books that you will want everybody around you to read. Immediately. So that you can start dissecting the problem and arguing about what you would do in the same circumstances. The Dinner is a story about a moral dilemma and, like all good moral dilemmas, there is no clear-cut ‘out’. It’s the story of Paul Lohman and his wife Claire, who are going out to dinner with Paul’s brother Serge, a charismatic and ambitious politician, and his wife Babette. Paul knows the evening will not be fun. The restaurant will be over-priced and pretentious, the head waiter will bore on about the organically certified free-range this and artisan-fed that, and almost everything about Serge, especially his success, will infuriate Paul. But as the evening progresses, it becomes clear that there’s more to this meeting than sharing a meal. There’s something the two couples have to discuss. It’s about their teenage sons and something they did. How far do parents go to save their children from the consequences of their actions? As the meal progresses, the drama unfolds and we learn that the character of Paul is not what he first appeared. During the aperitif and appetiser it’s hard not to side with Paul – his opinion of his brother (slick and insincere) seems well founded as Serge carries on about everything from wine to Woody Allen. However as events progress, Paul (the narrator), throws in some details that will make you question your alliance. My ‘no spoilers’ policy just kills me when it comes to reviewing this book! There is so much I want to say but to reveal what the teenage boys had done would destroy the story. I can say that I found it shocking. In the scenes where the parents discuss their sons’ actions, Koch’s pitch-perfect writing comes to the fore. I imagine that writing dialogue for people having a heated debate is difficult – it has to be expressive without being clichéd; the scene needs pace and, most importantly, it’s often what is left unsaid (letting the reader fill in the blanks) that can be the most cutting. Koch nails it. Again, without giving away a thing, Serge’s reasoning and suggested course of action fully captures the character – a character that you’ve only been ‘introduced’ to over pre-dinner drinks but by ‘dessert’, know intimately. The simple construct of the story – various courses of a meal – is genius. It not only builds tension but the story (that is so very, very cruel) unfolds against a backdrop of decadent food and wine. Of course, this book is packed with food references – crayfish dressed with a vinaigrette of tarragon and baby green onions, vitello tonnato, goats cheese. But the characters get down to tin-tacks over dessert. Serge orders a Dame Blanche, that I have since discovered is a fancy name for a hot-chocolate ice cream sundae, first named in Belgium – I’ll certainly be telling my kids they’re having a Dame Blanche next time I pull the vanilla ice cream out of the freezer and the Cottees topping out of the cupboard. 5/5 Pardon the pun, but I’m still digesting this story (and it’s days since I finished reading it) – it’s a quick, gripping, disturbing and brilliant read. *Although I haven’t seen it (yet) Roman Polanski’s 2011 film Carnage is a similar story – set in New York where two sets of parents meet to discuss a fight between their sons. I’ve been thinking about reading this book and you have convinced me to do so. The snippets you’ve included tells me this is right up my alley. For me, this book is like We Need To Talk About Kevin, in that I don’t mind knowing what the boys did (which I already do know). It’s more about how the story unfolds and the writing itself. I loved Shriver’s literary skill and I think from the quotes you included tells me Koch is an incredible writer. Enjoy! (I’m sure you will). I’ll look forward to your review. Great review! You really captured what made this novel quite a read; I was also shocked by what the boys had done. I really enjoyed the structure of the novel and the way the layers were rolled back over the course of the evening. It’s funny, while I was reading this novel, I was also thinking about that Polanski movie! (I just couldn’t remember the name) Did you watch the movie since you posted this review? I’ve since seen the film Lianne and loved it.